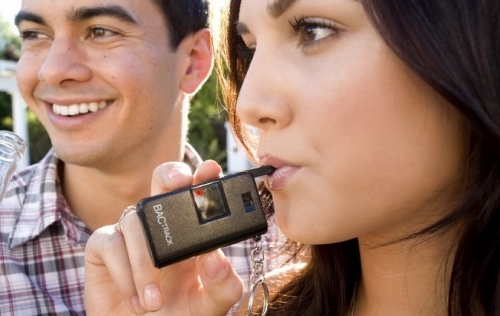 The BACtrack Keychain Breathalyzer is a fully functional breath alcohol tester with an internal alcohol sensor, folding breath tube, and even optional mouthpieces. You can quickly and easily estimate your BAC, Blood Alcohol Content, by blowing through the mouthpiece for 5 seconds. Never before has a breathalyzer had accurate alcohol sensing technology in a design this small and affordable. You can take the product everywhere and test yourself, friends, family, or anyone who is curious about their Blood Alcohol Content. The innovative folding mouthpiece pulls out during testing and slides back down during storage – it’s that easy! Everyone will want to test themselves whether you’re at a party, bar, restaurant, or anywhere else alcohol is consumed. Learn how drinking alcohol affects your Blood Alcohol Content and always make smart, informed decisions.